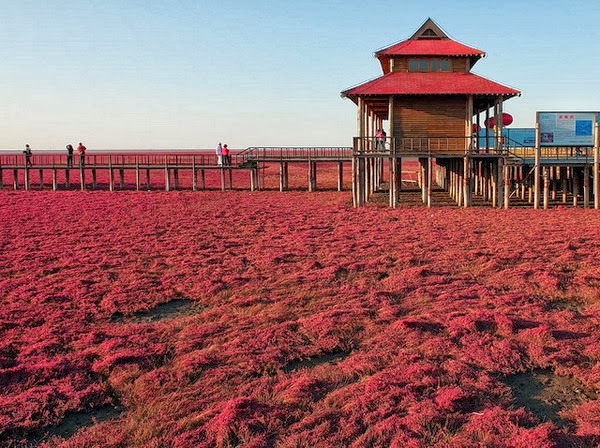 These bizarre locations may seem like a series of elaborate movie sets, but they are real destinations that you might want to see for yourself. 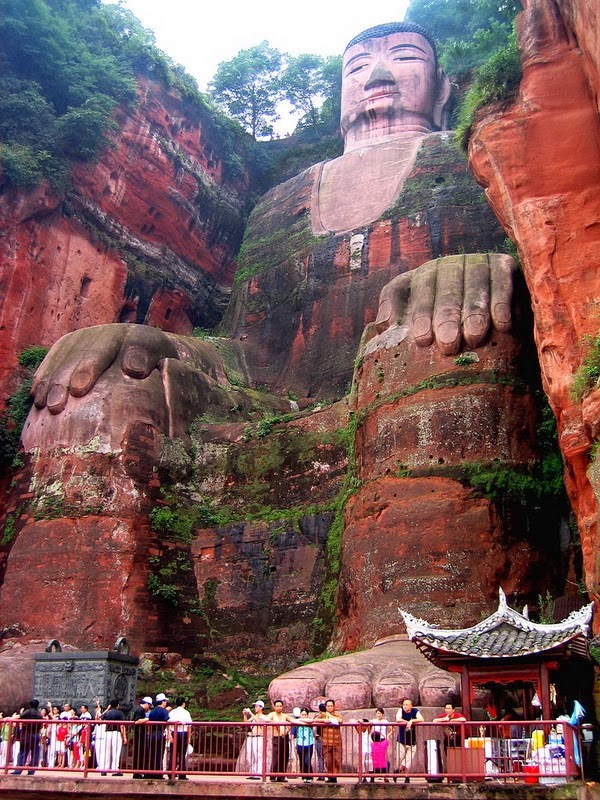 The Leshan Giant Buddha is a statue of Maitreya in sitting posture. The Buddha is located to the east of Leshan City, Sichuan Province, at the confluence of three rivers, namely, Min River, Qingyi River, and Dadu River. The statue makes itself the most renowned scenic spot in that city. In December, 1996, the location of the Buddha was included by UNESCO on the list of the World Heritage sites. Begun in the year 713 in the Tang Dynasty, and finished in the year 803, the statue took people more than 90 years to carve. During these years, thousands of workers had expended their efforts and wisdom on the project. As the biggest carved stone Buddha in the world, the Giant Buddha is featured in poetry, song and story. 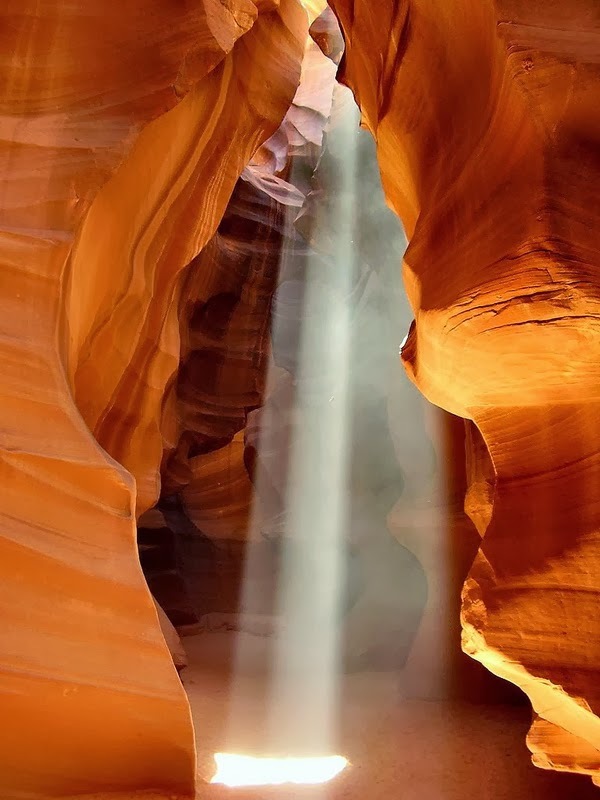 Antelope Canyon is located a few miles of east of Page, Arizona. Actually there are two antelope Canyon's located on either side of route 98. Upper Antelope Canyon and Lower Antelope Canyon are both owned by the Navajo Nation. Unfortunately, they charge separate entry fees of about $18 per person for each part of this attraction. 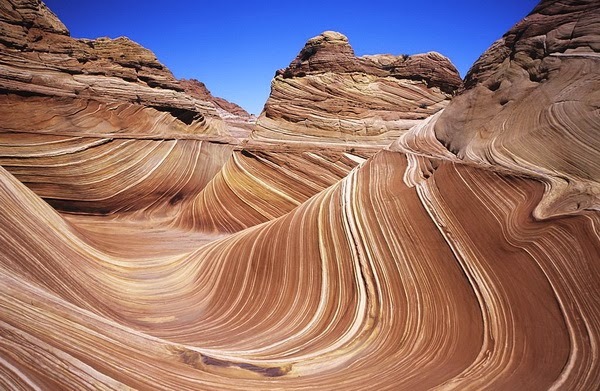 Since the upper and lower canyons are very similar, you need visit only one. Pamukkale has been a spa since the Romans built the spa city of Hierapolis around a sacred warm-water spring. The Sacred Pool is still there, littered with marble columns from the Roman Temple of Apollo. Pamukkale, 19 km (12 miles) north of Denizli (map), is Turkey's foremost mineral-bath spa because of its natural beauty: hot calcium-laden waters spring from the earth and cascade over a cliff. 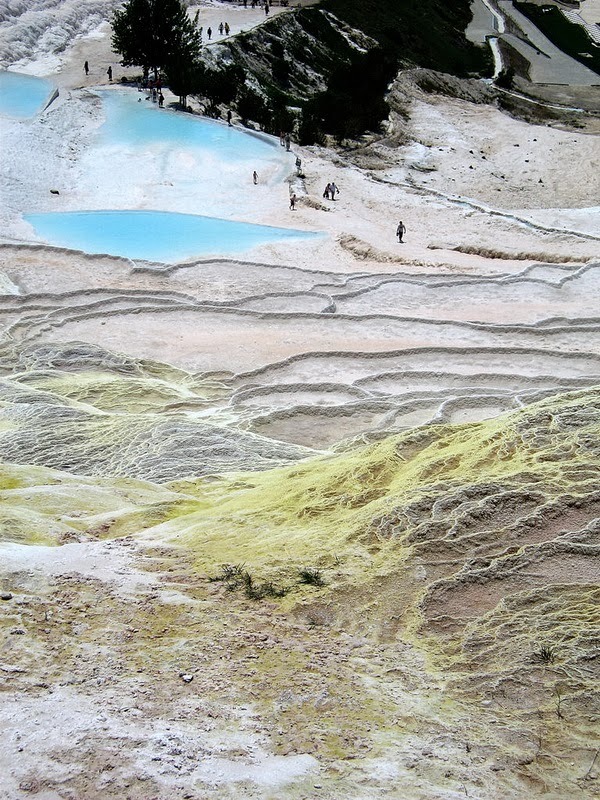 As they cool they form dramatic travertines of hard, brilliantly white calcium that form pools. 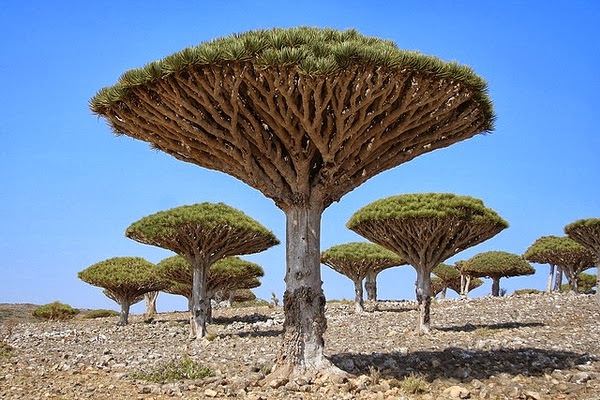 The Dragon Tree is characterized by a single or multiple trunk growing up to 12 m tall (rarely more), with a dense umbrella-shaped canopy of thick leaves. It grows slowly, requiring about ten years to reach 1 m tall. Young trees remain with only a single stem; branching occurs when the tree flowers, when two side shoots at the base of the flower panicle continue the growth as a fork in the stem. No Namibian safari is complete without a visit to world renowned Sossusvlei, in the heart of the enormous, almost 50 000 km² (19 305 square mile) Namib-Naukluft Park. Surrounded by a sea of ever-changing sand dunes, Sossusvlei is a clay pan that only rarely fills with water. It is a place of awe-inspiring beauty - magnificent terracotta sand dunes that rise over 300 m (980 feet) into the vast, blue sky. Said to be among the highest dunes in the world, climbing to the top of one of these dunes is an unforgettable experience. 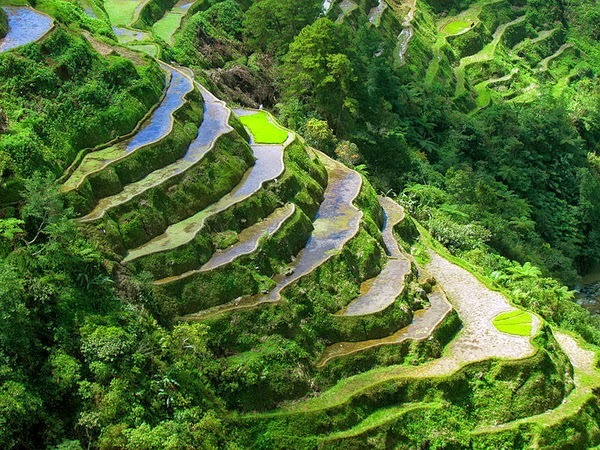 Jatiluwih Rice Terraces are located about 20 km. from Tabanan, West Bali, the road climbs up high into the hills to Jatiluwih 850 meters above the sea level. The view here is one of the finest imaginable - The terraced paddy rice fields stretching in endless contours over hills and valleys as far as the eyes can see.The distance from Denpasar to Jatiluwih is about 48 km and it is situated in upstate of Tabanan town (28 Km). 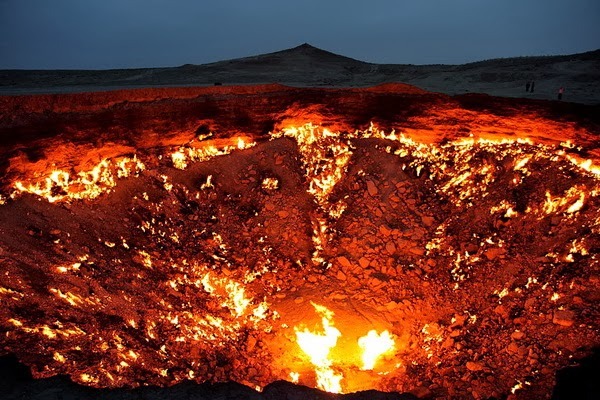 At first glance, it could be a dramatic scene from a science-fiction movie.But this giant hole of fire in the heart of the Karakum Desert is not the aftermath of an attack on Earth, launched from outer space.It is a crater made by geologists more than 40 years ago, and the flames within have been burning ever since. 9. Giant's Causeway, Antrim, Northern Ireland, U.K. Giant's Causeway is a cluster of approximately 40,000 basalt columns rising out of the sea on the Antrim Coast of Northern Ireland. These rock formations get their name from an old legend stating that Irish warrior Finn McCool built the path across the sea to face his Scottish rival, Benandonner. There are several variations of the story from this point but each one ends with Finn dressing as a baby and scaring off Benandonner, who thinks the disguised Finn is actually the child of a giant and is too afraid to face his opponent. 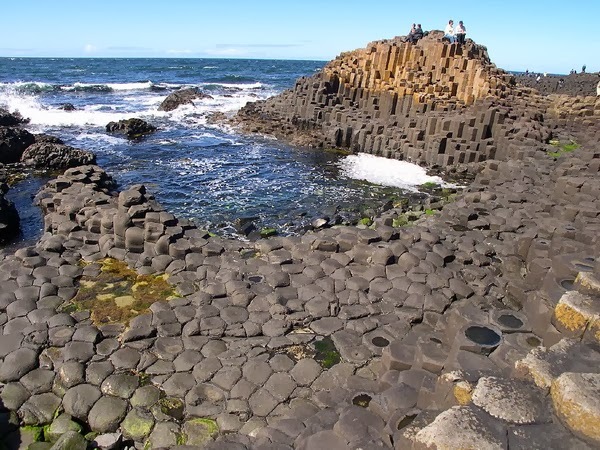 On his way back to Scotland, Benandonner tears up the path behind him, leaving just what exists today on the Northern Irish coast and the Scottish island of Staffa, which has similar rock formations. 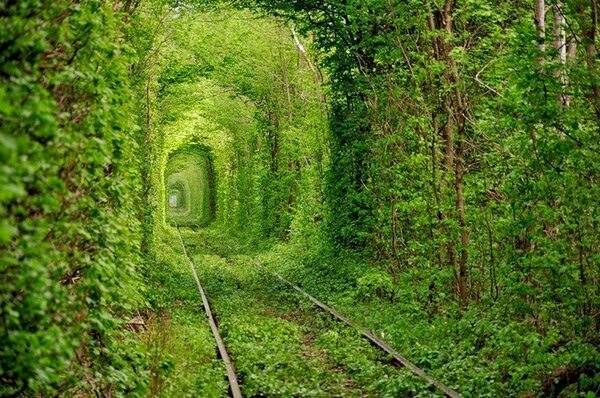 Tunnel of Love is a beautiful spot in Klevan, Ukraine. A three kilometer railway section leads to the fibreboard factory. The train goes three times a day and delivers wood to the factory. However, the trees make a green corridor, which attracts many couples, as well as photographers for its eye catching avenue. It is said that if you and your beloved come to the Tunnel of Love and sincerely make a wish, it will come true. This might be a new romantic place to discover. The place is among the most scenic hiking destinations in the entire Southwest, an expanse near the Arizona-Utah border so popular that officials use a lottery to decide who gets to walk its trails. Cappadocia, Turkey is the historic area of central Anatolia bounded by the towns of Hacıbektaş, Aksaray, Niğde and Kayseri (map). 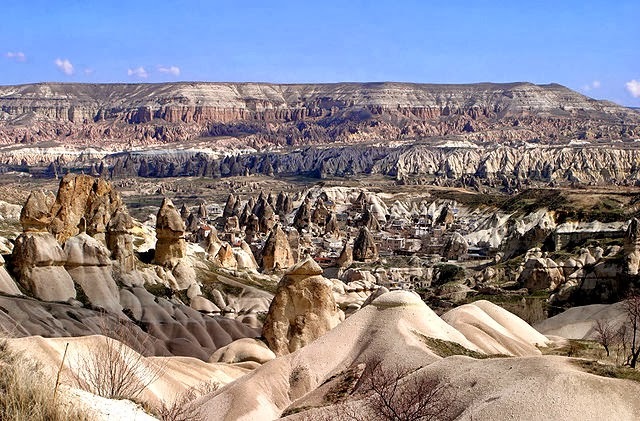 It was known as Cappadocia in ancient times, and is still called Kapadokya informally today.